There's a post on the WoW forums by Torvald about how boring things are in WoD. The "Garrison Chores" killing most people's fun because they feel they have to do certain items each day, and get very little reward from doing them.. Blizz has taken note of his post, but I personally doubt anything much will be done with regards to 'resolve' it. Why? Well, we have the next expansion coming soon. 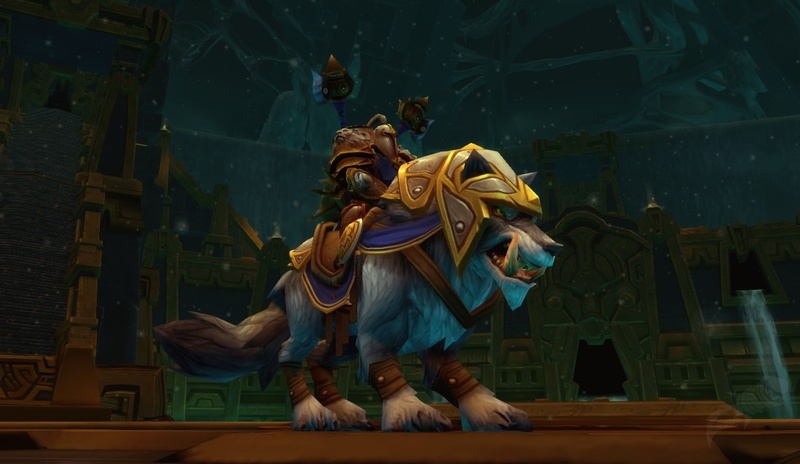 Coming soon, they will need to explain why we don't get to bring our Garrison along to the next battle. I highly doubt that the Dalaran mages are going to come by, enchant my garrison into the air and allow me to bring it with me. My thought is Blizzard is trying to make a point. You say you wanted Player Housing. We gave you Garrisons which is close. You say you hated them, we tried to tell you it was a bad idea..
Next expansion: Mail-order materials. A box, like in your garrison, will provide you random herbs and minerals. If you take the order, you are charged a few gold each time. As you play, you can increase the size of the dropped box and pay a little more. Same idea as "garrison resources" but you'll be charged for the convenience.